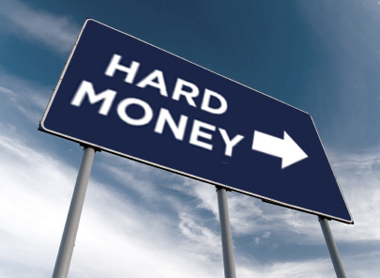 Well, what is Hard Money? Hard Money is also called private money. The funds don’t come from a bank, rather they come from private individuals who lend their money. Often times this private money is coming from their self-directed IRA. These private lenders don’t have as stringent regulations as banks do so it’s easier to get the loan. The drawback? They charge a higher interest rate than banks do. That’s true. The lenders here in Orlando are charging 12-14% interest. That’s high, but not anything like the 18% interest homeowners were paying back in the 1980s for their own home! So how can someone use hard money to help leverage their money? The home was a 4 bedroom, 2 bath home for $155k. The After Repair Value (ARV) was $270k, but it needed $45k in repairs. Now, if you used all cash, you would need $200,000…CASH!!! Not an easy feat. The hard money lender has the following terms: 3.5% loan origination fee, 12% annual interest, 20% of purchase and rehab cost for down payment and loan up to 65% of the ARV. So, let’s break it down with a purchase price of $155k and rehab cost of $45k. The origination fee is $5,600 and the down payment was $40k. So, to purchase this home you would need $45,600. What about holding cost for the loan and closing fees? This lender only charged $900 in total additional closing fees and holding it for 6 months would be $9,600. So, to purchase this home and rehab it with Hard Money, you would only need a total of $56,100. Now, that’s a big difference between sleeping soundly at night and closing a deal by the skin of your teeth, if at all. Even better than only having to use $56k to purchase and fix the home, is the fact that once it’s SOLD, my investor is looking at a NET profit between $35,000-$40,000. That’s almost a 75% return on his $56k in 6 months or less! That’s compared to buying the property all cash which would have resulted in only a 20% return. Talk about leveraging your money! Capital Real Estate Professionals, LLC.